Summer grew up with dogs. During her childhood in rural California, her family had Australian Shepherds, toy Poodles, and Golden Retrievers running around the property. She moved to Washington State to attend the Evergreen State College, where she earned a BA in Fine Arts. After college she worked for years as a chef, until her interest in deaf dogs was kindled by Malcolm, a very dog-reactive pit bull mix. Owning Malcolm allowed Summer to appreciate the unique challenges of working with reactive and deaf dogs. After Malcolm passed away, Summer enrolled in a Puppy Perfectors class with her new dog Jeff, a deaf pit bull mix puppy who welcomed any and all training Summer threw his way. Jeff and Summer attended every class they could, learning activities like Agility, Nose Work, and Rally. They eventually figured out that Agility wasn’t Jeff’s true calling and focused their efforts on the more controlled sports of Rally-Obedience and K9 Nose Work. They just finished up their Rally-Novice title and Nose Work 1 title, and continue to train for future titles. Summer and Jeff work hard to provide a positive counterpoint to pit bull and deaf dog stereotypes. In 2016, Summer agreed to foster another deaf pit bull mix puppy, Jawslin, who had quite a different personality than Jeff. Energetic and engaging, Jawslin ended up staying with Summer and continues to provide new opportunities for both learning and patience. Puppy Perfectors founder Nancy Hansen saw promise in Summer; she hired her as a trainer in 2015 and eventually as a substitute instructor later in the year. In 2017, Summer bought the business and became the new owner of The Puppy Perfectors. Summer has completed the Walks ‘N’ Wags Pet First Aid course. She is a Certified Professional Dog Trainer-Knowledge Assessed (CPTD-KA). Summer has also been certified as an AKC Canine Good Citizen (CGC, CGC-A, and CGC-U) evaluator. She has also completed the Aggression in Dogs workshop with Trisha McMillan Loer and Michael Shikashio. A lifelong student, Summer continues to expand her knowledge base through workshops, classes, and competition. Nancy Hansen has been working with dogs all her life. As a child, she accompanied her older sisters to their dog training classes and dog shows. By the age of 15, she was training and showing her own dog, an Irish Setter, in conformation and obedience trials. Together they earned a CD (Companion Dog) title and a CDX (Companion Dog Excellent) title. In 1975 the City of Montebello, Ca hired Nancy, only 17 at the time, to teach obedience classes for the Parks and Recreation department. She continued teaching classes for the city while attending the University of Southern California. She graduated in 1980 with a BA in Physical Education and a K-12 teaching credential with a special education endorsement. After graduation, Nancy became a trainer at a personal protection/guard dog kennel while she did substitute teaching for Los Angeles County. 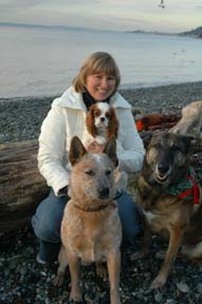 In 1982 she moved to West Seattle and started her own business, The Puppy Perfectors Dog Training School. Over the years she did in home training, taught large group classes through the YMCA, Community Centers, as well as small group classes in a local park and school gymnasium. She would board and train dogs in her own home as well. In 2009, Nancy opened a 3,000 sq. ft. training facility in White Center, The Puppy Perfectors Dog Training and Agility Center LLC. In 2012, she expanded, moving the facility to the current 8,000 sq. ft. location in Columbia City. In 2017, she sold the business to Summer Frazier, and continues to teach and mentor. Nancy has taught private and group obedience classes for more than 40 years. She stays current with new teaching methods, attending seminars, workshops, and training classes with her own dogs on a regular basis. Her teaching background has given her a strong foundation in different learning styles and she has had many years working with all age groups, both canine and human. Since every dog and every person is unique, the goal for Nancy has always been to help the owner and dog become a stronger team, developing a closer bond. Nancy has personally owned over 20 dogs in her life, of many different breeds from the working group, sporting group, hound group, terrier group, toy group, and herding group. She currently shares her home with two Cattle Dogs and a Belgian Malinois. She trains and shows them on a regular basis in Obedience, Rally O, Agility, Herding, Conformation, and Tracking. She has 4 grown daughters; her youngest is a veterinary practicing in the Chicago area, and 5 grandchildren. Diana has been involved in various dog sports for over a decade – training, competing, and teaching. She is a patient, dedicated instructor and a passionate advocate for positive, force-free dog training. She attends ongoing formal training to always bring her students the latest customized training solutions, including attending the three-day Clicker Expo annually, studying with expert trainers from around the world, and attending training and behavioral workshops. 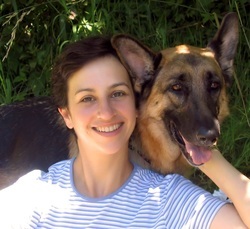 Diana is a Certified Professional Dog Trainer – Knowledge Assessed (CPDT-KA), a member of the Association of Professional Dog Trainers, and the Association for Force-Free Pet Professionals. She is also certified as a AKC Canine Good Citizen (CGC, CGCA, CGCU) Evaluator, and a Certified Trick Dog Instructor. Diana enjoys helping steward the obedience and rally shows, and helping judge Rally Fun Matches and 4-H competitions. She is currently working on the requirements to become an AKC Rally and Obedience Judge. Outside the ring, Diana participated as a Therapy Dog Team with Therapy Dog International (TDI), visiting Assisted Living facilities. She also volunteered for Washington German Shepherd Dog Rescue, adopting dogs, doing home checks, transporting, and fostering rescued dogs. She lives with her husband, son, and German Shepherd, Valen. 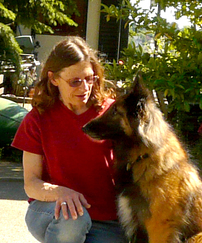 Kathy has instructed training classes and competed in a variety of dog sports for over 40 years. A member of the Association of Pet Dog Trainers and the Pet Professional Guild, she stays abreast of advances in training methods by attending training seminars and workshops each year with internationally recognized canine behaviorists and trainers. 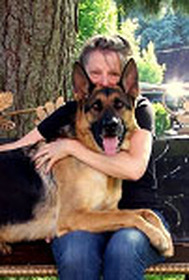 She is a certified Professional Dog Trainer (CPDT-KA,) Canine Nose Work Instructor (CNWI), Trick Dog Instructor (CTDI) and Rally Freestyle Elements Instructor (RFE-CI), Kathy and her dogs have been featured on television and in newspaper and magazine articles. Kathy’s dogs have earned trick dog titles; grand championships in canine musical freestyle and Rally Freestyle Elements; achieved CD, CDX and UD titles in AKC obedience; RN, RA and RE titles in AKC rally-o; and titles in NACSW nose work. Breeds she has owned and trained include Labradors, Golden Retrievers, Parson Russell Terriers, Border Collies, Australian Shepherds and Belgian Tervuren. Kathy currently competes with her Belgian Tervuren and Parson Russell Terrier in canine musical freestyle, Rally Freestyle Elements, and nose work. Mary has been involved in canine performance sports since 1998. In the first half year she competed, her amazing GSD Remy managed to be the #1 Novice A Obedience dog in the US and she was hooked on Competitive Obedience for life. Since then she has trained and titled her GSD’s through Utility with multiple HIT performances, multiple breed and Front and Finish rankings. Along with Competitive Obedience, Mary and her dogs have explored and competed in Schutzhund, Agility, Tracking, Flyball, Herding and Rally Obedience. With a strong background in instructing and training that began with coaching young competitive swimmers, Mary began teaching obedience for Washington State Obedience Training Club and spent several years as the training chair. Stepping in to fill the trainer slot at Pawsabilities, she has since continued training a dedicated group of competitive students in the Greater and South Seattle areas. The biggest influence on her training style has to be the incomparable Sylvia Bishop and she still attends her yearly seminars. Working with Sylvia she has learned that creating a great relationship with your dog is the best way to enhance performance and enjoyment. Her student’s dogs are known for performing with great enthusiasm in the ring, and they are as fun to watch as they are to train. Mary is currently living and competing with her homebred GSD Trip (U-CDX) UD Can CD GN GO RE NAC TN-N HIC HCT TC TDI FFXP FFXG and her newest partner a Belgian Malinois named Jazou.